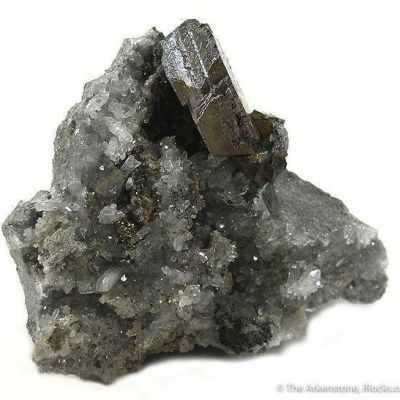 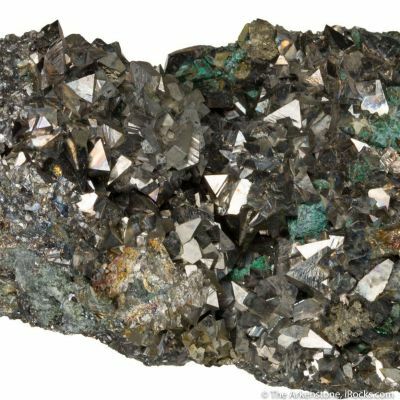 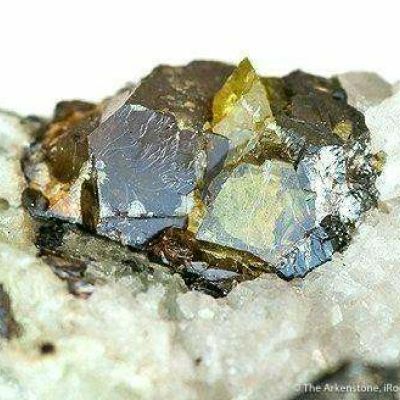 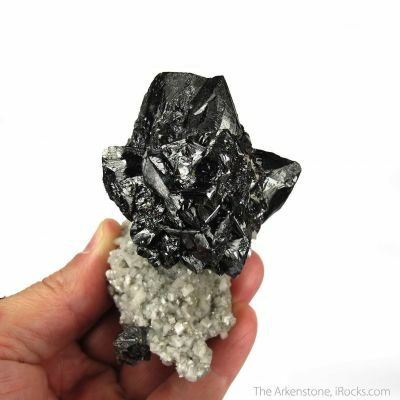 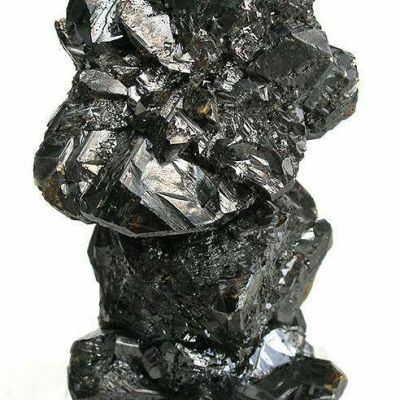 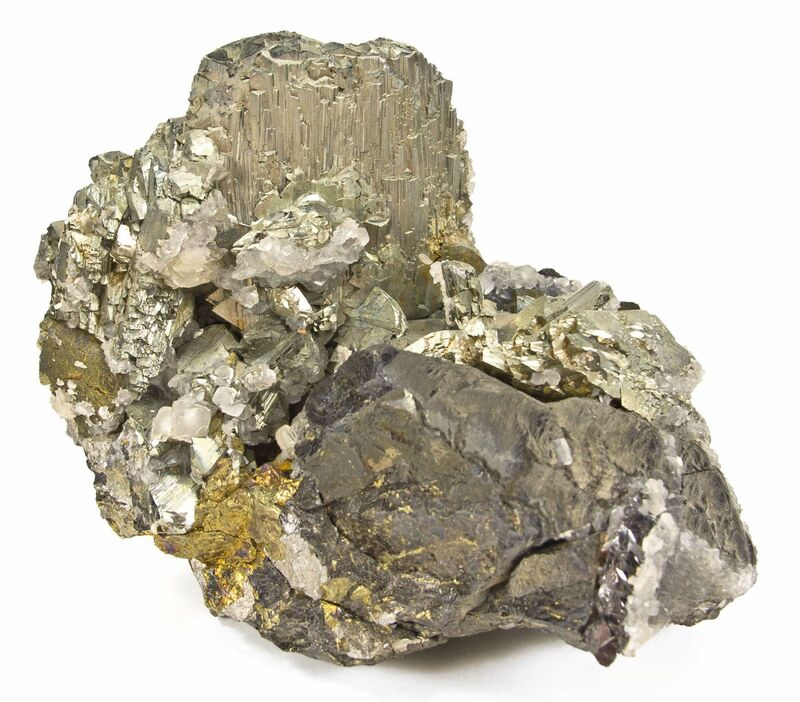 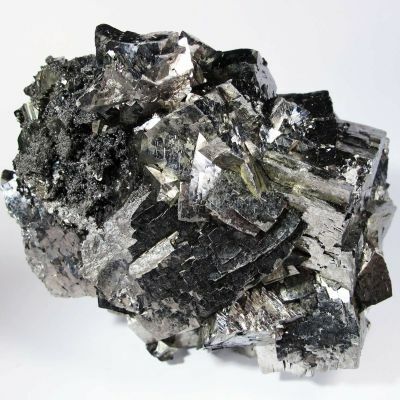 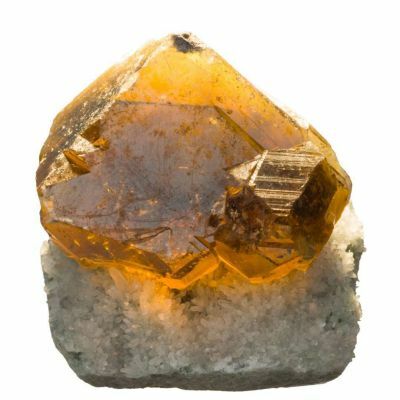 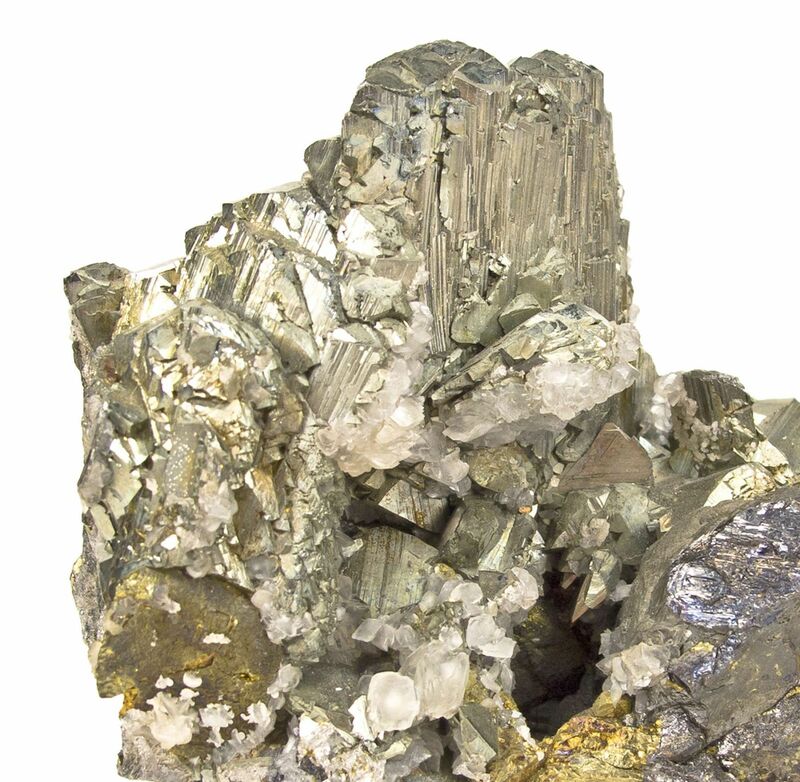 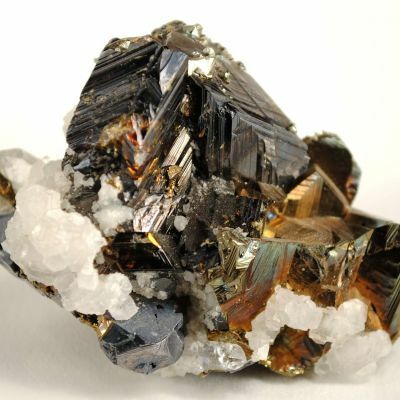 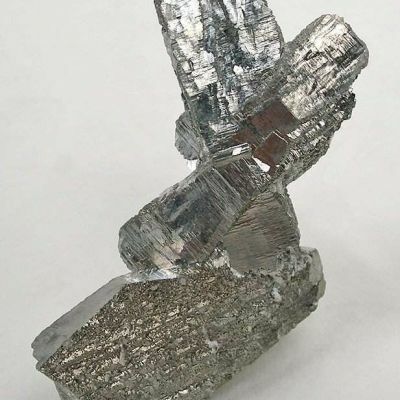 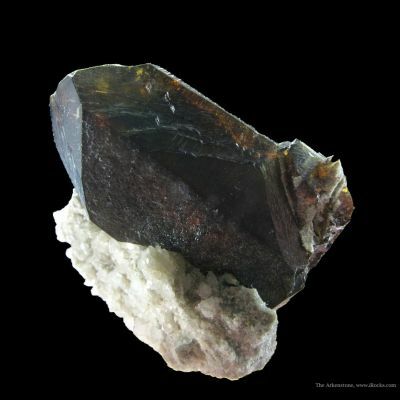 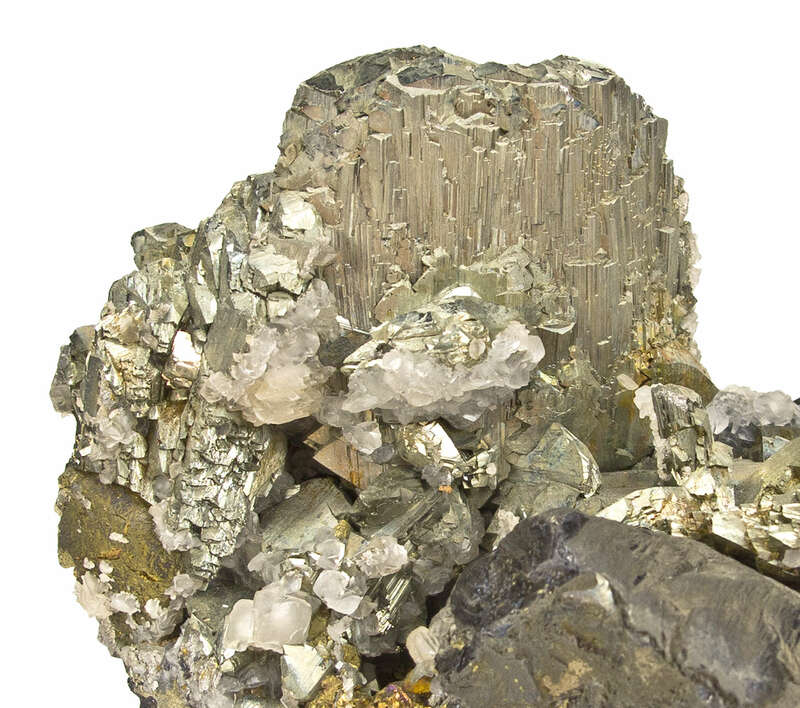 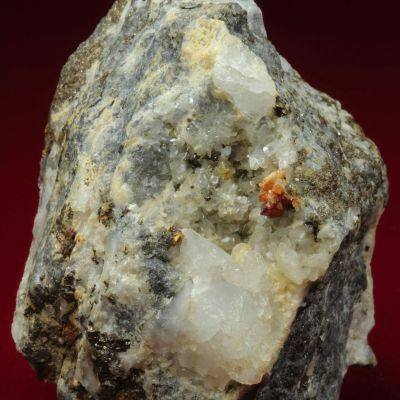 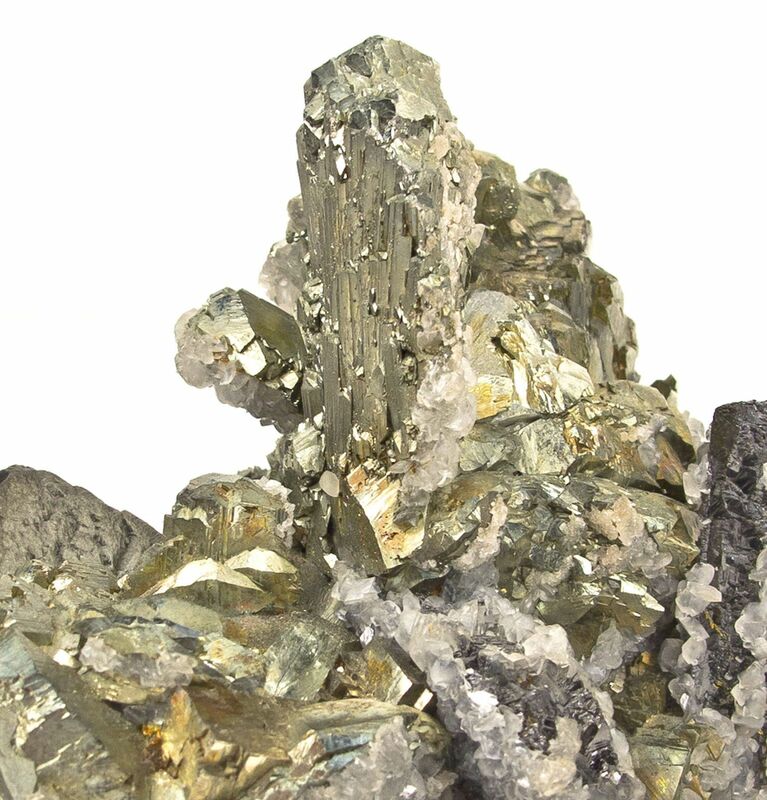 A very lustrous, yellowish-metallic crystal of arsenopyrite, measuring 4 cm across, is accompanied by smaller crystals of the same species along with a few large black crystals of sphalerite, to 6 cm across. 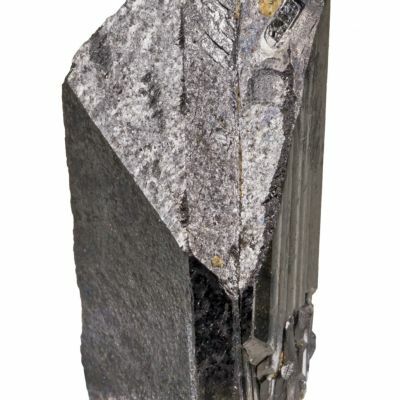 A druse of grayish calcite crystals is present, mostly on the back side of the specimen. 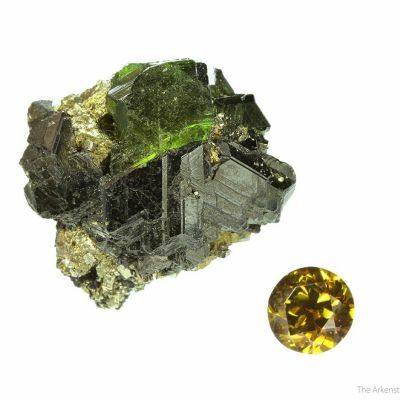 Overall an interesting combination piece that I am told is a very odd association and style for the mine. 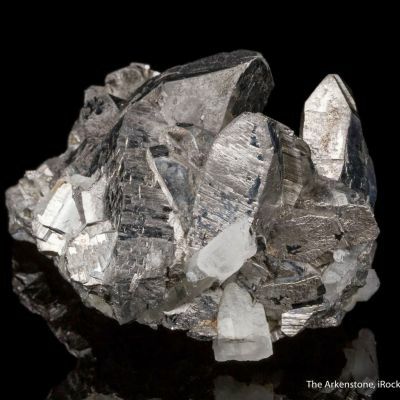 The arsenopyrite alone, without the associations, would be easily thought to be from Panasquiera by most people. 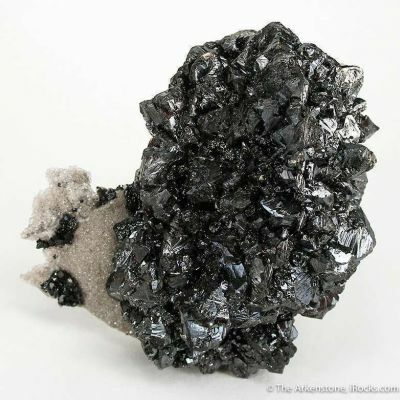 It is more robust than most Mexican arsenopyrites, and does not have the usual "sharp" chisel-like termination. 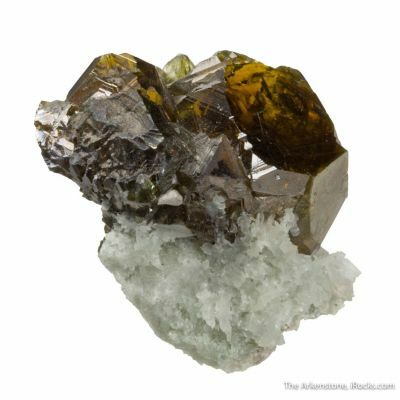 Although not in the Heck collection of Mexican minerals, this piece fit well with the update and is included. 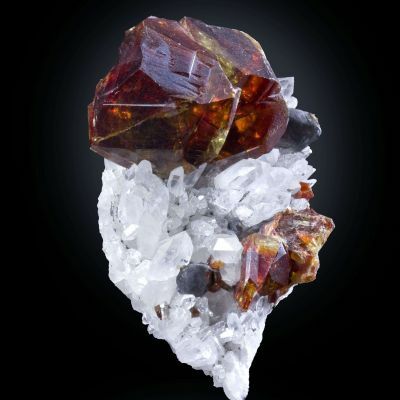 It was long in the collection of noted collector and dealer Gary Hansen. 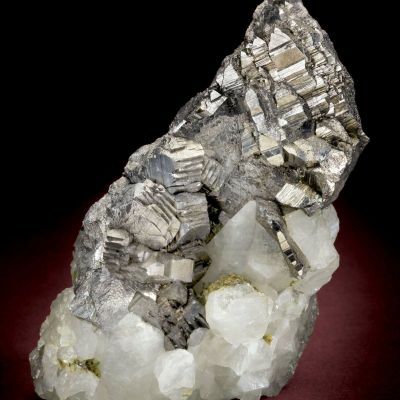 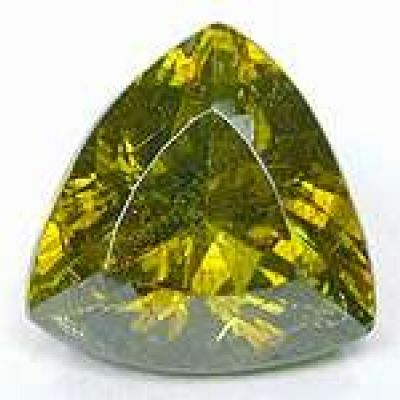 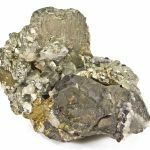 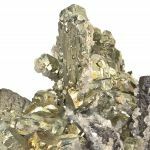 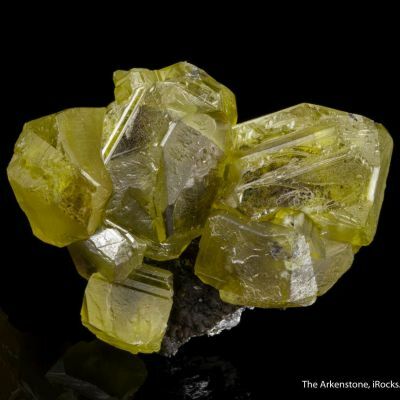 He sold it at some point to collector Gene Meieran, who today is known for his big gem crystals but used to have a very large and diverse suite of sulfide species. 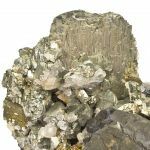 When his sulfides collection sold to me in about 2005, the piece went next to Mexico & Arizona-collecting specialist David Stoudt, from whom I obtained it back by exchange recently.